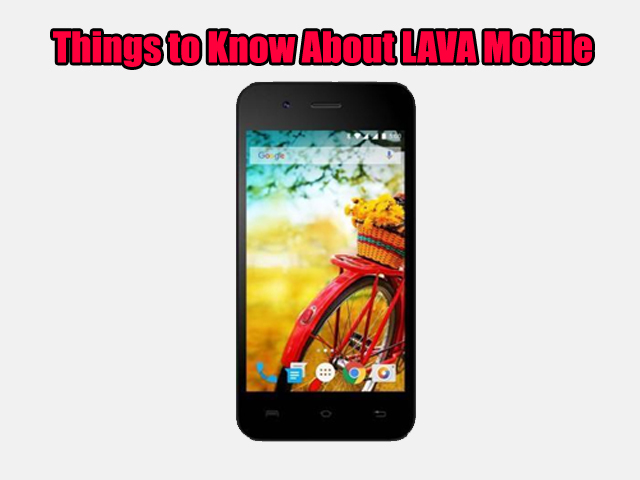 LAVA mobiles have entered the market of mid-range smartphones and have created a lot of competition. The main aim of the company is providing innovative and quality products at a very affordable cost. Now, the company is also focusing on Distribution network and after-sales services. Since last year, there have been too many companies entering the mobile market. Tough competition is being faced from Wynn, Gee Pee, Micromax and LYF mobiles. Nowadays, LAVA mobiles have a number of handsets on offer. These handsets are extremely affordable and have all the necessary features. The main target is entry level people. Complete efforts are being put by the company for attaining a good position in the market. However, not only for LAVA, but even for other brands, it is getting extremely tough. Let us talk about LAVA Iris Pro, which has a ton of features that can be ecplored and enjoyed by the users, so that loads of tasks can be completed. Why do people use smartphones? Some basic reasons include surfing, watching videos, playing games or doing timepass, isn’t it? Moreover, operating System Android Jelly Bean has many features on offer, which help in speeding up the processes and enhancing the experience of a smartphone. Are you too bored in typing the search query? Don’t get any more since all you need to do is SAY ALOUD. Tap the icon of the mic on the search bar and say what you want to say. This would help in making the search very easy. This includes scores, specific locations, nearby restaurants, specific games and more. Nowadays, Google Now is pretty cool when it comes to identify the Indian accents and that too at the right time. Do you find too much clutter on the home screen? All you need to do is tap those unwanted widgets and then shift them to the screen’s top. Not only would this save a lot of time, but would create a lot of fun too. Make sure that you don’t delete the app; just remove this widget from the home screen. In case the widget is removed accidentally, go to the main screen of the app and then long press on it for bringing it back. In case you just love fiddling with your Lava phone, then you must try out the Developer Options of Google. For getting developer options, you have to go to Settings, tap on ‘About the phone’, scroll till the bottom, and then tap 7 times of ‘Build number’. This would give access to build number. Basically, Daydream is a screensaver for the Lava phone and by default, it is hidden. For unlocking this, go to ‘Settings’ then tap ‘About phone’, scroll to the bottom and repeatedly tap Android version. You get a smiling Jelly bean on this screen. Now, after some taps, there would be flying jellybeans on the screen that can be flung away. This would unlock the Daydream. Moreover, even the data usage can be monitored on the LAVA Mobile phones. The only thing which is needed is high-speed net on the mobile. Keep checking the usage daily and manage it well so that high bills can be avoided. Now there are several Android operations and hence, the data usage can be checked with ease. Only thing is, navigate to settings, click on Data usage and you are done. Various graphs would be provided showing the pattern of data usage. If multiple SIM cards are being used, patterns for different SIM cards would be shown. Check the cycle date, monthly usage and graphs for matching the dates and the plan. Moreover, you can also check how much data a particular app is using. This helps in getting rid of unnecessary apps. Lisa Parker, a techy geek having keen interest in all flashing trends in the market whether it’s related to gadgets, technologies or anything. Recently, I have written articles on Micromax Mobile Phones, Android and on different topics. I like to showcase my skill sets through my writing. Writing is my voice to share my thoughts and views about everything. Your content is really great. Thanks for sharing this article.